2° SPREAFICO MATTEO (TEAM AURORA VIRTUAL IMAGE) a 4"
3° MARELLI LORENZO (A.S.D. TEAM CAPPELLETTI) a 15"
4° CATTANEO ROBERTO (U.S. PALADINA IVAN GOTTI) a 17"
5° CARIBONI SAMUELE (VELO CLUB BELLINZONA) a 24"
6° MASNADA FAUSTO (A.S.D. PEDALE BREMBILLESE) a 26"
8° FERRARI ALESSANDRO (G.S.D. 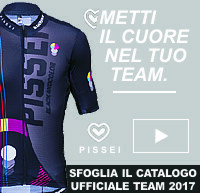 CICLOTEAM NEMBRO) a 28"
9° MOSSINI DANIELE (A.C.S.D. AMBROSOLI REMO CALZOLARI) a 58"
10° ZANZI ANDREA (A.S.D. G.P. RACER TEAM) a 01'04"